Healthful Pursuit is weeks away from going ad-free! No more random fast food banners, popups or completely inappropriate messages will invade this space. You will be free to browse, completely uninterrupted and distracted. It’s going to be sa-weet! The only products that will be promoted here are the ones that I fully endorse and completely stand behind. They’ll be sprinkled in some of my blog posts, like this one. I will give my honest opinion (as I always have) so that you have the details you need to make an educated choice on whether or not the product is right for you. I have always tried to write about things that I think you’ll be interested in, companies that I feel are doing good in the world, and products that I believe are safe for you and your loved ones. Brands like Happy Days Goat Dairy, one of my long-time promotion partners, will be part of this new chapter of promotion partners on Healthful Pursuit. I have created over 60 recipes for them over the course of our partnership. From Goat Cheese-Stuffed Turkey Balls, to Cranberry Cream Cheese Sugar Cookies and everything in between. The cool part? 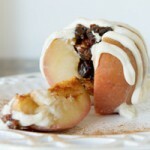 When I develop recipes for them, I also create a dairy-free version for all y’all that just can’t do the dairy thing. 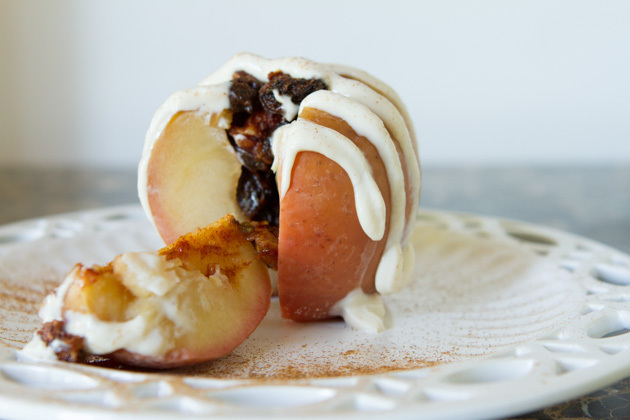 And with that, let’s get to this month’s roundup of the recipes I made for Happy Days Goat Dairy, ya? 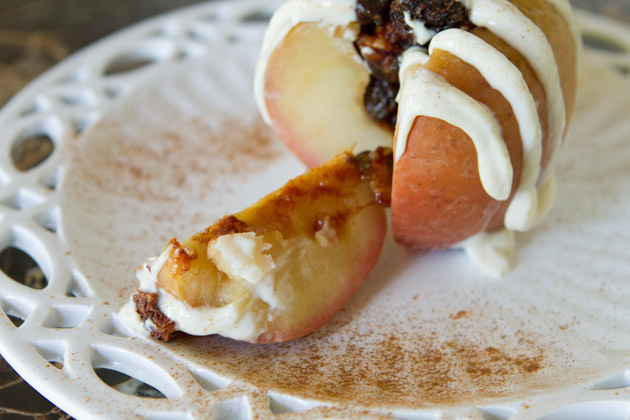 This dessert has all the goodness of apple pie, without all the effort. Cream Cheese - if you can't do dairy, you can replace the cream cheese in this recipe with a dairy-free, store-bought cream cheese or make my Soy-free Vegan Cream Cheese. 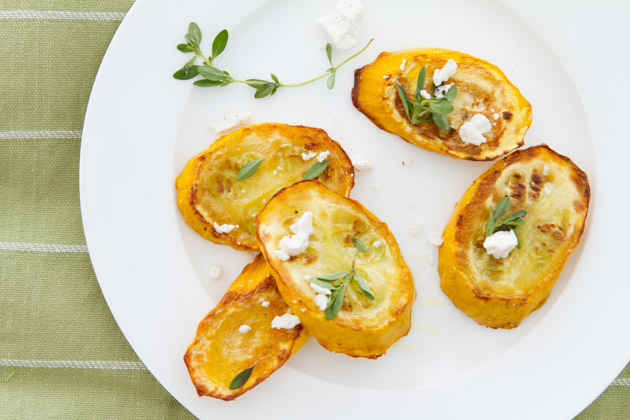 These roasted summer squash coins drizzled with oil and topped with fresh thyme make a simple side dish or elegant appetizer. Can’t do dairy? Try replacing the goat cheese with the Walnut Cheese I use on our flatbreads. 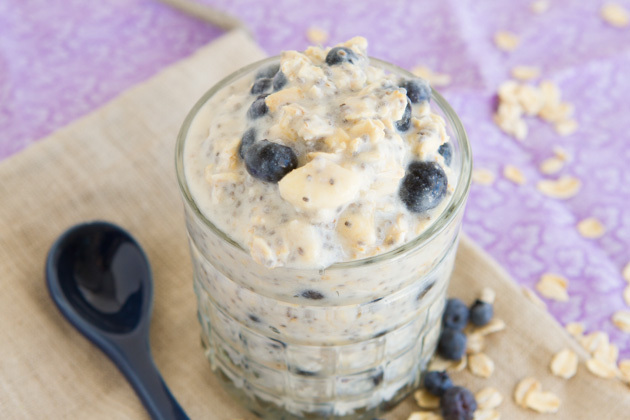 Overnight oats is an incredibly easy and low maintenance way to prepare a healthy breakfast. Not down with yogurt? Try replacing it with your favorite dairy-free yogurt! Goat cheese is a natural cooking cream that can be used as a sauce in just about anything! 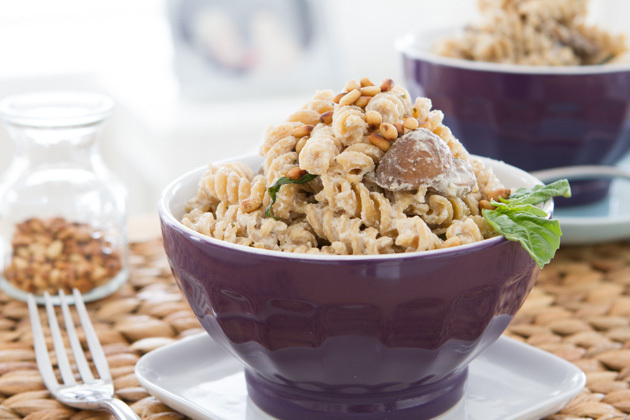 In this goat cheese recipe, we’ve added sautéed mushrooms and fresh herbs to a roll of soft Okanagan goat cheese for an ultra-creamy pasta sauce. Cheese not in your repertoire? No worries. Have you tried my Vegan Cream of Mushroom Soup? It works so, so, so well as a pasta sauce, too!